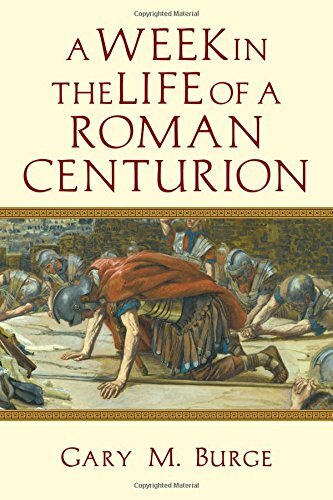 Infused with historically accurate characters and details, A Week in the Life of a Roman Centurion by Gary M. Burge tells a story rich with potential. The tale culminates in a biblical text, developing backstory as well as backdrop. Unfortunately, much of that potential is hidden behind awkward formatting, textbook storytelling, and weak plot lines. Burge undertakes the novelization of a New Testament story to teach about Roman history and Jewish culture in a more relatable manner. Obviously well researched, the dispensing of information overshadows character development and the story’s flow. Large text boxes discoursing factual, and interesting, historical, religious, and biographical topics are interjected with no regard for the story’s progression. As these subject boxes interrupt storyline events they break a reader’s engagement and focus. In focusing on a peripheral character, Burge begins in an outlaying campaign where Rome has overthrown the city and either killed or taken captive most of its inhabitants. What could be a dramatic, emotion-laden journey of one man into and through captivity, and ending up at death’s door unless miraculously saved ends up reading like a textbook. The dialogue is stilted and the third person point of view seems to shift between limited and omniscient. Although developing interesting characters, experiencing earth-shattering events – all true in historical representation – the story falls flat. Not only does Burge struggle to make a human connection with his characters, there are also some glaring holes in the plot. The central character begins to learn about the Jewish faith toward the end of the novel, at which point his identity as a Jew is revealed. This information is not shared until late in the storyline, confusingly becoming extremely important. Less impacting, yet still somewhat frustrating to this reader at least, the title is misleading. Much more than one week long, even the climactic event does not appear to last merely a week. Overall, A Week in the Life of a Roman Centurion fell short of it’s potential. The text boxes contained phenomenal information, the story was creative, and every detail researched – but in the end all was underwhelming.